Bhaavna’s fourth book is an extraordinary biography. 9 May 2017. Lt. Ummer Fayaz was brutally murdered by armed militants in Kashmir while he was back home, attending a wedding in the family. The death sent a nation into shock, and immortalised the memory of a young man with conviction beyond his years. In his brief, inspiring life, Ummer joined the army to set an example and galvanise fellow Kashmiris to move beyond the cycle of violence that unrest in the state had forced them into. Deeply researched and told with feeling, Undaunted is the extraordinary story of an extraordinary life. Ummer epitomises ‘Kashmiryat’ in its truest sense and will go down in the history as a hero who chose to serve the nation, against all odds. 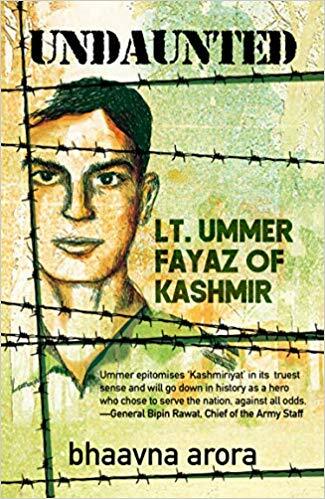 Bhaavna Arora’s deep field research on the life and times of young Lt. Ummer Fayaz, not without its own inherent dangers, reveals just what are the aspirations of most young Kashmiris. Bhaavna has truthfully conveyed all she witnessed, and in this lies the real value of the book. Ummer is an icon for our warriors and children. 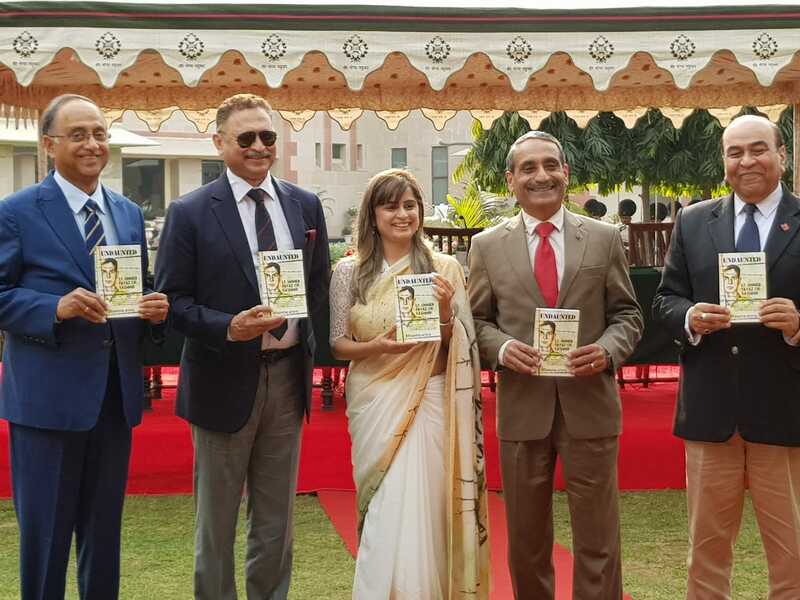 It’s a must-read for all Indians who care about Kashmir, its future and for those Kashmiris who refuse to be cowed down by terror threats when it comes to serving their country. This book has the potential to make many Lt. Ummmer Fayazs. This book is a plea for hope. Without stating the obvious, it is a cry for Kashmir, a prayer for young Kashmiris to take a deep look at who their heroes should be. 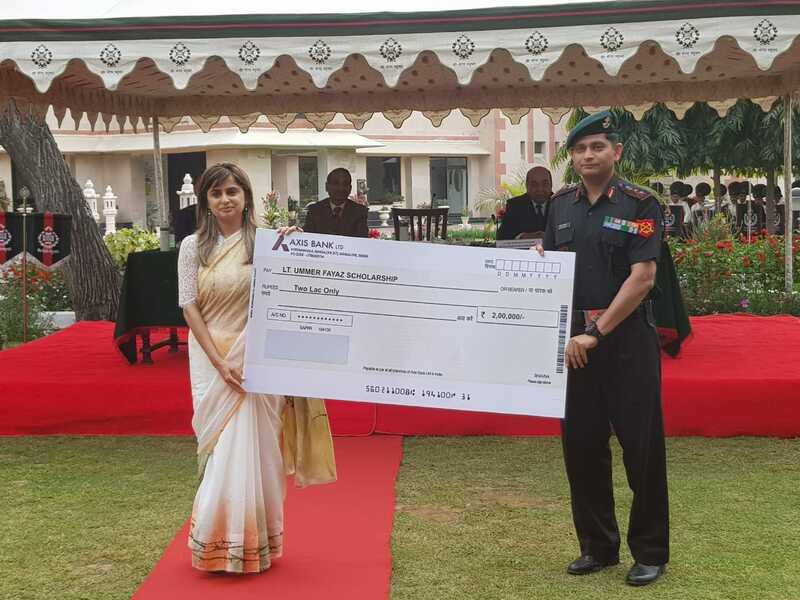 I am particularly struck by the lengths to which Bhaavna has gone to render an authentic account of Kashmir, its life and the life of armymen posted there.